The studio is the cornerstone of news production and brand-producers are always looking for new ways to make the most of their facilities. In this quest they may face space, set or budget limitations, not to mention scheduling deadlines that make hard set construction impractical. This is when augmented reality can be a producer’s secret weapon. The right AR package with customizable, interactive sets can turn a small stage into an infinite horizon environment, can drop floors, erase ceilings and build walls where none exist. 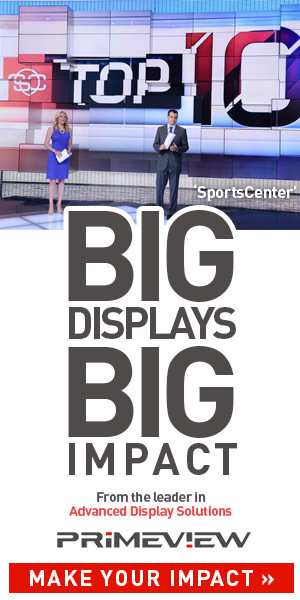 No need for expensive and limiting video walls, screens can drop into frame from the ceiling, pop out of the floor, or be swiped into and out of sight by on air talent. Visuals can break out of the confines of hard set elements into freeform 3D space. Directors love the maximum flexibility of AR and producers appreciate its usefulness in protecting the bottom line. Full Mental Jacket has been helping clients integrate and make the best use of these cutting edge AR technologies for over a decade. News programming by its nature can be repetitive but with this versatile production tool even the same old broadcast can look new and different. But it’s not just the news that benefits from the malleability of AR and VR. Talk shows, live concerts, awards shows and music videos are all genres to which FMJ has added production value through the use of augmented reality. News programming is often like shooting at a moving target where the headlines dictate the visuals required. No hard set can be as adaptable as a set created and managed in the virtual environment. A single stage can be a weather center when a hurricane is approaching, election HQ during the primaries and a talk show set when it’s time to interview the pundits. Having an arsenal of customizable AR sets is like having access to an unlimited number of different sound stages and the ability to use each without hours of set dressing and lighting. At no point in history has the average voter been able to access more immediate election information than right now. From remotes at every voting precinct to man on the street interviews to exit polling results to studio punditry and real time tabulation, modern election coverage is one of the most data intensive broadcast formats. AR enables seamless analysis and editorial control that conveys statistics and commentary in a tight, visually appealing package. Professional sports is a business and where there’s corporate sponsorship there’s the need for visual branding. AR enables sports broadcasters to work in tandem with advertisers to “tag” onscreen elements in ways that can be as bold or subtle as the client desires. With audiences increasingly unwilling to sit through commercial breaks AR allows in-program promotion for products, brands or even the network itself. They say nothing ever changes but the weather. In fact until the advent of AR weather reportage remained largely the same as it was in the earliest days of broadcasting. The standard of the well dressed meteorologist pointing out temperatures on a regional map wasn’t appreciably different in 1996 than it was when the BBC developed the premise in 1936. 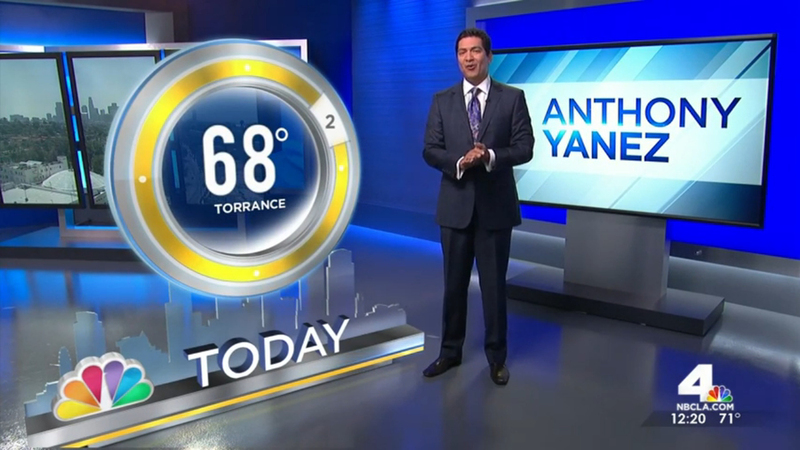 AR entered this milieu and now even weather forecasts can have the pop and attraction factor of an engaging fast paced segment the viewer just can’t turn away from. At its inception AR was an expensive and experimental technology. In the beginning only the big broadcasters such as BBC, NHK and NBC were using AR for elections, award shows and sports events. But recently the price and complexity of these systems has come down to a level where they’re being embraced by even the smallest local station affiliates. The appeal to smaller broadcasters is that AR is easy to integrate, requires no investment in floor real estate and offers set extensions one would need a team of carpenters to pull off in the real world. AR is a must for the current pace of information dissemination. Moment by moment changes to data or statistics and visual references to social media are a piece of cake for a producer or director with an AR system at the ready. Screenshots and other related graphics can be integrated in innumerable ways that grab eyeballs and give even the driest material a crisp, contemporary look and feel. AR offers options for enhanced branding and sponsorship, is friendly to automation tools and blends well with real elements and hard set pieces. The technology can also make the fast changes required to cover live events in real time. So just what is Augmented Reality? Just who is using AR these days? 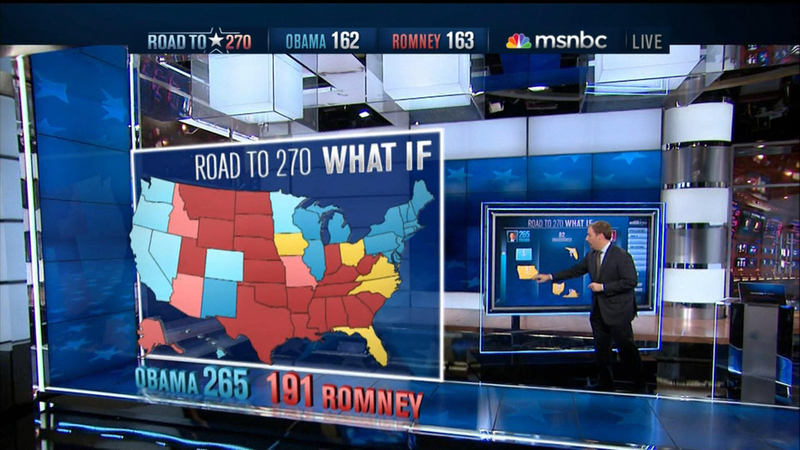 Augmented Reality can help convey election updates, sports statistics and additional data of all kinds. It’s an important tool in the production arsenal and the price is right too, with existing Augmented Reality templates available to run on all the AR systems. Opting to own a tracking system requires some investment but also adds the biggest impact. Customization can range from minimal color correction to a full bespoke package created just for the client’s project. Full Mental Jacket is one of the most experienced design and implementation firms in the world of AR.